are large enough to be stuffed and baked, and others, like ravioli, come already stuffed. juice, green pasta with spinach, orange or red with tomatoes, and etc. 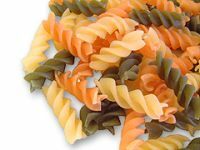 Below an overview of the most common pasta types and their synonyms. Large diameter (about 3 mm) and very long-cut spaghetti, made with wholemeal soft wheat flour or semolina. Small diameter (about 2.4 - 2.7 mm) and smooth surface long-cut dry hollow pasta. Very thin long-cut extruded pasta (ø mm 1 - 1.2), usually nested or coiled, suitable for clear soups. Very popular shape all over the world. 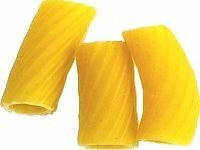 These are short lengths of rolled and twisted Italian pasta. They're usually served with meat sauces. It usually refers to small pasta shells that resemble tiny hot dog buns. The name is less commonly used for a type of dumpling made with ricotta cheese. Short cut pasta suitable for salads or soups. Shaped like creste di galli ("cockscomb" in Italian). Curled fettuccine (width about 12 mm). Long-cut pasta with rectangular section (about 0.8 x 8 mm), fresh or dry. Long-cut pasta with rectangular section (about 0.6 x 25 mm), fresh or dry. 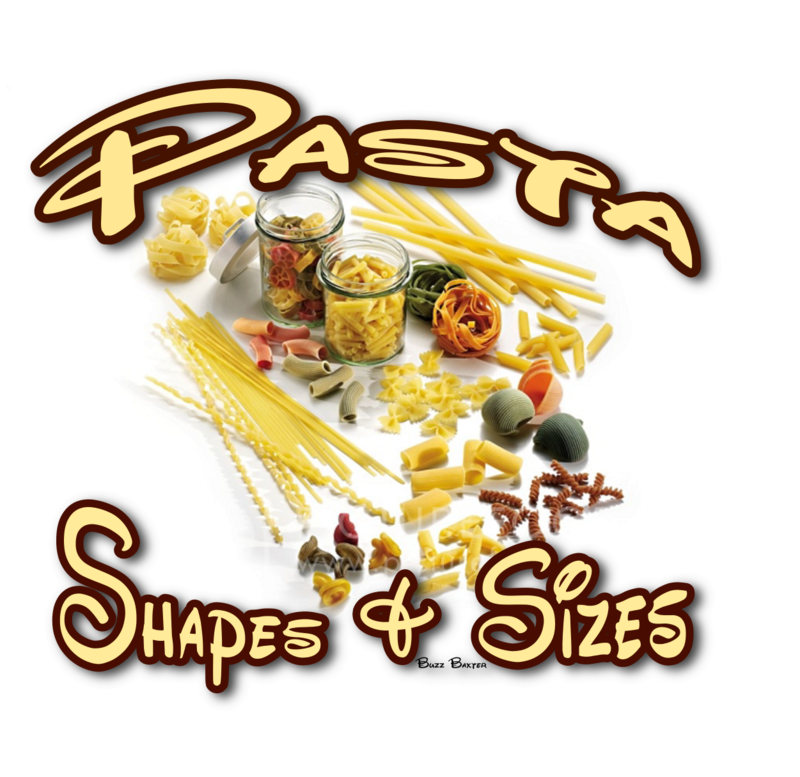 Small size and elliptic section long-cut pasta. Rectangular size double side-curled long-cut pasta (width about mm 10). Short-cut pasta, suitable for vegetable or thin soups. From Sardinia . This unusual variety of Italian pasta consists of poorly wrapped straws of dough, about 20-30 cm long. Short cut pasta suitable for salads or soups. Shaped like ears. Medium diameter (about 4 mm) and smooth surface long-cut pierced dry pasta. Short cut pasta suitable for salads or soups. Different size and shape fresh pasta, stuffed with vegetables, ricotta, cheese, meat and even fish based filling. Double size curled large tagliatella (width about 15 mm). This flat Italian pasta is about 5 cm long, and has a ridged border. 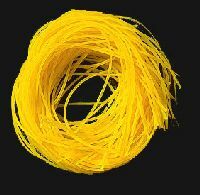 Medium diameter (1.8 - 2.4 mm) long-cut dry pasta (broken for Vermicelli). The name means "priest strangler" in Italian, and it refers to a pasta shape that resembles a rolled towel. Long-cut pasta with rectangular section (about 0.8 x 10 mm), fresh or dry. Long-cut pasta with rectangular section (about 0.8 x 3 mm), fresh or dry. 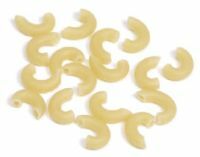 These pasta shapes resemble torches, the better to scoop up chunky sauces. 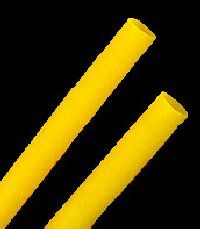 Hollow tubes, flattened on one side. Same as Trenne, but smaller. One side curled long-cut pasta (width about 10 mm). Very large diameter long-cut and smooth surface hollow pasta.